No matter which track you go to, the Bone Stocks are always there putting on a show with some of the craziest racing that you’ll probably witness throughout the entire night. As a result, you see more drivers joining the fray each year. That showed in the first two editions of their Silly Season Portal with plans revealed for seven drivers. Since then, the news has just joined continued to drop with drivers revealing their plans for 2019. So here are some more competitors who have openly discussed their 2019 plans as of February 3, 2019. S2RT Racing has experienced success in the Mini Stock division at Sunset Speedway with Curtis Stewart, and will be expanding their team in 2019 by entering a pair of Bone Stocks. Corey Howden will be getting behind the wheel for the first time on an oval track behind the wheel of the No. 6 Bone Stock, but is no stranger to motorsports. He has been supporting S2RT Racing as a sponsor since 2014 with Timber Creek Construction! Don Yorke recently confirmed that he will be running a part-time schedule at Delaware Speedway. 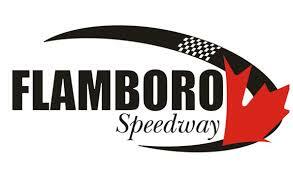 Delaware Speedway is also helping offer some insight to the season, including releasing the track’s current driver roster. Currently, the Bone Stock division includes 20 drivers. You can view the full registration at https://delawarespeedway.com/race-info/driver-roster-2/.